Followed the pictures and everything works a treat. I will try to install a dash cam in the coming weekend. Thanks for the instructions. One more thing, I guess there are only men installing dash cams and such (no need) gadgets? A woman would not even consider it, or? There is talk of a special tool to remove the a pillar cover. What does this tool look like ? Used to remove most of the interior parts. 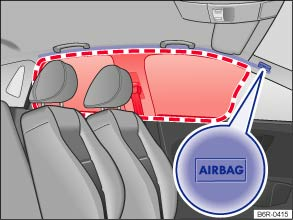 You should NEVER cross in front of any air bag with wires. When the air deploys the instantneous enrgy is high enough to send the the wire snaking towards, and possibly wrapping itself around you. It could also pull the camers from the screen and that too could fly into your face. Don't beleive me, okay, carry on as usual, but hope the air bags never get deployed. If i interperet your pictures correctly, you mount the camera on the windscreen and tuck the wire under the headlining. You then appear to continue under the headlining until you reach the A pillar, which you then cross and tuck it under the A pillar draught excluder to bring it eventually to the fuse board. If that is correct you have crossed the path of the air bags deployment, which is dangerous.